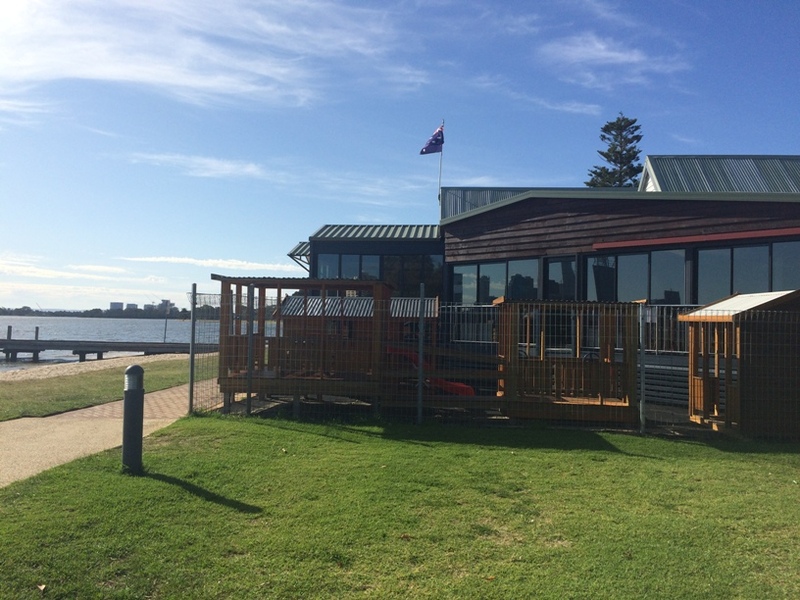 The Boatshed Café & Restaurant in South Perth is located along the beautiful South Perth foreshore right alongside the Sir James Mitchell Park playground. 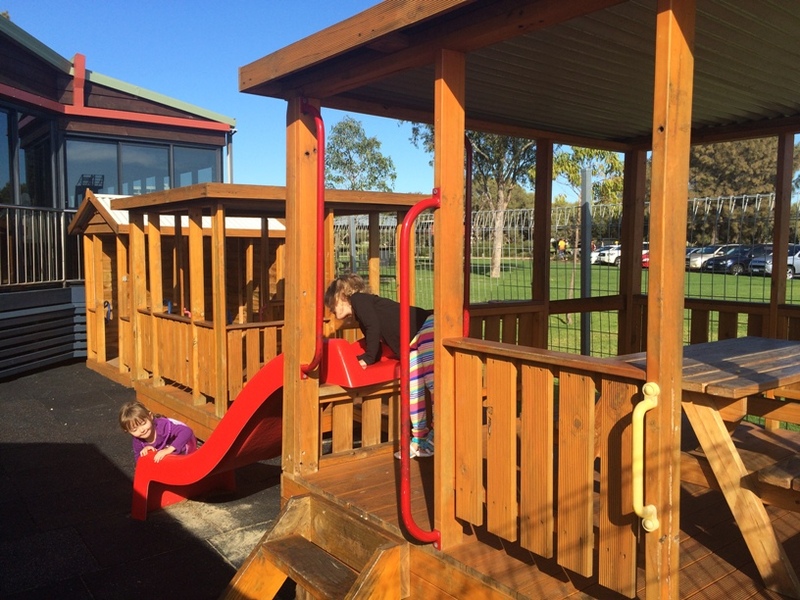 Just outside the café is a fantastic fully fenced kids play area with wooden cubby houses and a slide. There is lots of parking alongside The Boat Shed Café & Restaurant or you may fancy catching the ferry over and taking the 10-15min walk along the foreshore, east, to get there. Or for a bit more fun you could pack your bikes, park in Perth city and get on the ferry. There are four bike spaces on each ferry (if they are full you will have to wait for the next one), then ride up to The Boat Shed Café & Restaurant. 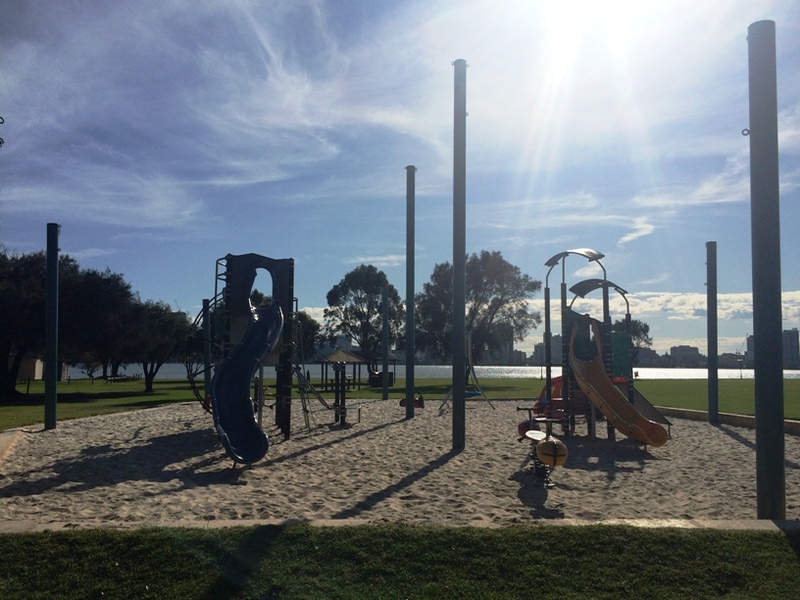 This is a very popular spot for cyclists as it’s located along a cycle way that goes right around the Swan River, so there are plenty of bike racks to store your bikes. 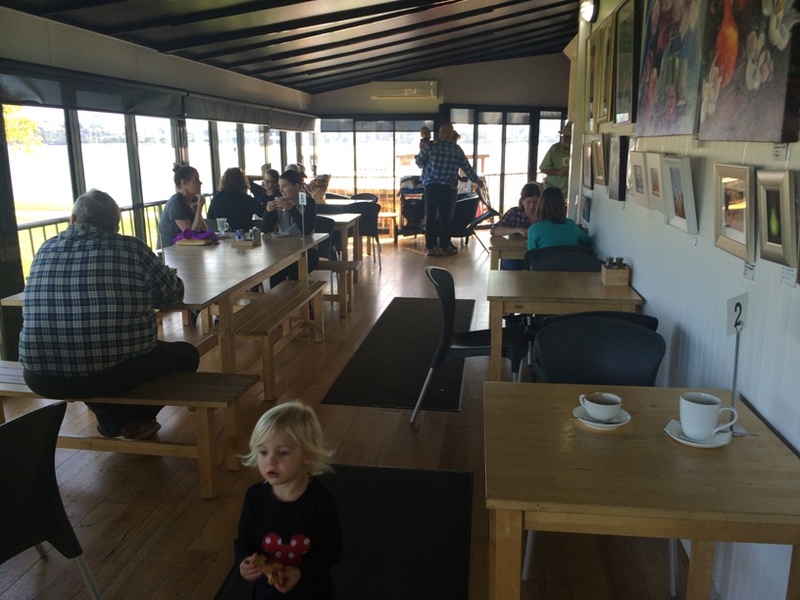 We didn't dine in the restaurant on this occasion which is right next door to The Boat Shed Café and exhibits the same beautiful 180 degree views of the Swan River, but we can tell you the café boasts a great range of hot and cold food & drinks, including healthy meal options. 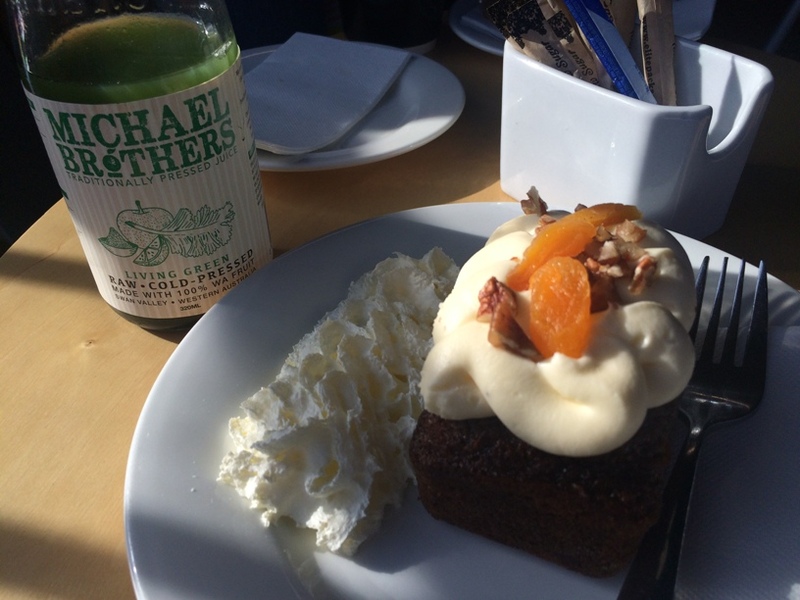 I enjoyed a delicious bottled raw juice by Michael Brothers and a delicious slice of carrot cake. They have a beautiful range of cakes and slices on display perfect to go with a nice warm tea or coffee. They serve coffee and cake all day long or you can choose from the breakfast and lunch menu also. It was a beautiful sunny day so the kids enjoyed their morning tea out in the cubby house, although I’m sure it would be fun to enjoy morning tea out here when there is a bit of rain about too. There is no adult seating outside so it's best to eat inside then bring your coffee out to enjoy while the kids play. The play area is best suited for kids from walkers to pre-schoolers. Older children may enjoy dining out in the cubby house too. While it’s not a huge café, there were groups of Mums who managed to get several prams in, so it’s a great place to catch up with friends. There is also a few tables at the front of the cafe where you can dine. 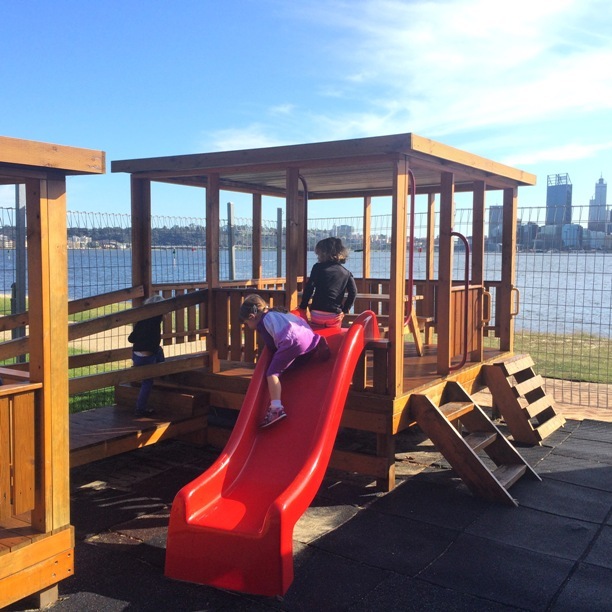 You really can’t beat the view and the location of The Boat Shed Restaurant and Café, the kids will love the play area, and they can have a splash by the river afterwards if it’s warm enough or head just across the car park to the Sir James Mitchell Park playground. 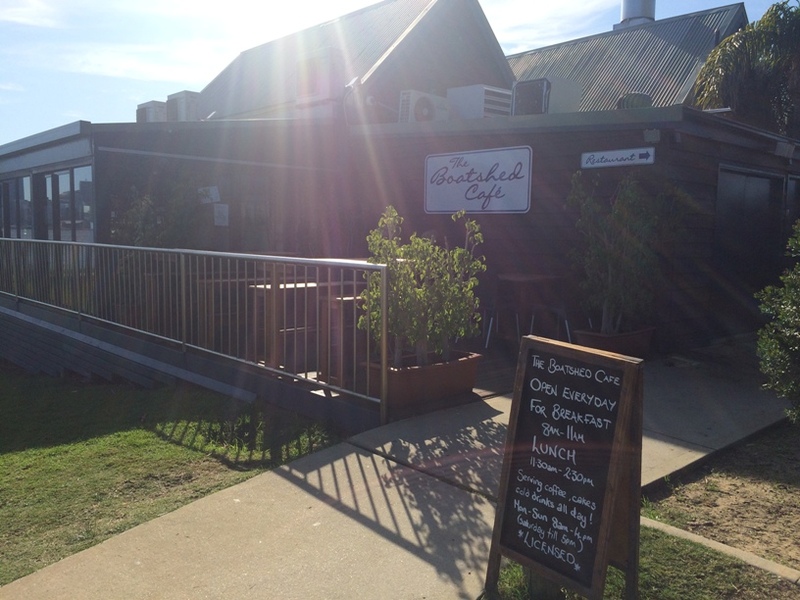 Want info and a map to take you to The Boatshed Cafe & Restaurant while you are on the go?! 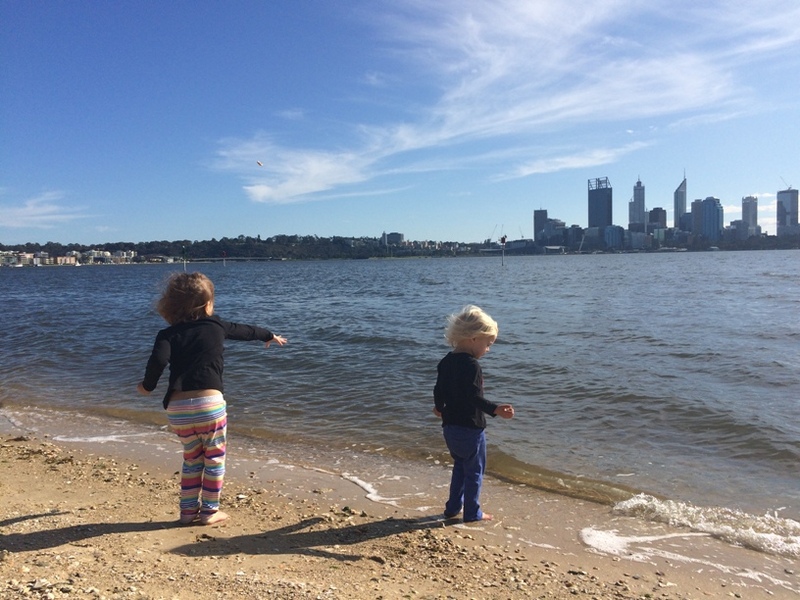 Then get the Kids Around Perth App today.